These are the values that guide the lives of the citizens of Lenfald. More than mere words, these ideals embody the core beliefs of a free and noble people in a nation of adventure and opportunity. Men of action, women of unmatched beauty and intelligence, scholars of great wisdom, extraordinary citizens living each day to their fullest with a zest for life. And among all this, Lenfels dwell in fine balance between personal freedom and good governance, without tolerance for either the chaos of the outlaw nor the clenched fist of the tyrant. The great people of Lenfald were shaped by an even greater land. Lying between the cold desolation of Garheim to the north, and the barren, wind-scarred deserts of Loreos to the south, is the glorious land of Lenfald itself. Magnificent forests extending beyond the horizon and into the unknown, rivers that gleam brighter than forged silver, waterfalls that sparkle as if cut from the finest diamonds, ancient ruins filled with the unsolved mysteries of a long and storied past, formidable castles built of the strongest wood and stone, wind-touched plains that play home to the dancing sun in the day and the shining stars at night: Lenfald is all of these things, and much more. You will find all of these qualities in beautiful Lenfald, land of brilliant forests and silver waters. Lenfald of Adventure, of Fortune, Freedom, History and Destiny. Join us in a land full of opportunity. 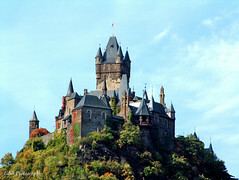 For Comparison: Lenfald is reminiscent of medieval Great Britain and Germany, with similar geography and architecture, although the people have more freedom than either of these two historical examples. The land features many fine forests, and stone is plentiful as well, and so their castles are often stone and wood combinations. Lenfald has the strongest fleet of ships amongst all of Roawia due to the availability of oak in our forests. In times of peace, Lenfald trades wood, fur, agriculture and textiles freely with Garheim and Loreos. 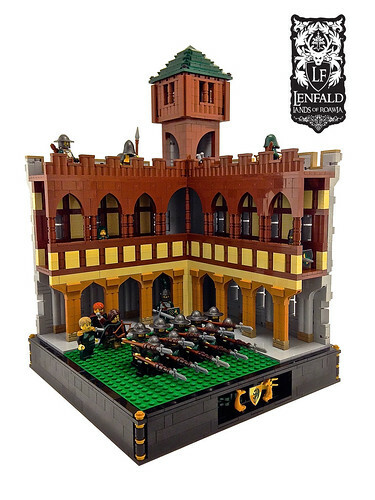 If you enjoy the green beauty, landscapes and buildings of Great Britain or Germany then Lenfald is your best choice for a faction. 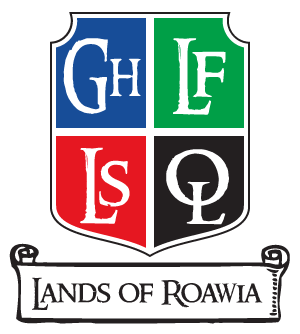 Once a part of the united Kingdom of Roawia, the senior 100 leaders of Lenfald declared its independence at the Great Congress and decided to reject entirely the idea of having a monarch over the people. Instead, the tradition of electing a High Lord was continued, but now with a 5-year term limit. Our current High Lord is Albrecht von Falkenborg I, successor to High Lord Triphian. Field Marshal Falkenborg made his reputation by driving enemy forces out of Stonewald and Northern Lenfald, and his dynamic personality and boundless energy impressed so many that he was swept into office in a wave of patriotism. As a new High Lord, Falkenborg now has his work cut out for him in leading a newborn Nation to freedom from Roawia and stability in a new political landscape. From Left to Right: High Lord of Lenfald, Field Marshal Albrecht von Falkenborg; Arch Duke of Stonewald, Lord Orin Wenslav; Grand Duke of Durrough, Lord Cartney; Grand Duke of Stoneborough, Lord Eberhard Strong; Grand Duke of Bladefall, Lord Ashleigh Stanton; Grand Duchess of Elavia, Lady Minerva Reglay; Grand Duke of Isil Oro, Lord Alfred Godwinson; Grand Duke of Ainesford, Lord Sorley Meyrick. Seat of Lenfald Provincial power, this busy metropolitan city sits on the western shores of the massive and deep Everlyn’s Tears Lake in the central lowlands. Sloops can make the trip from the Aines River up the Marnie River into the lake and dock for trade at Stonewald’s bustling port. All the important industries of the Province are present, with the heart of the textile trade centered here, as well as Lenfald’s only art establishment. 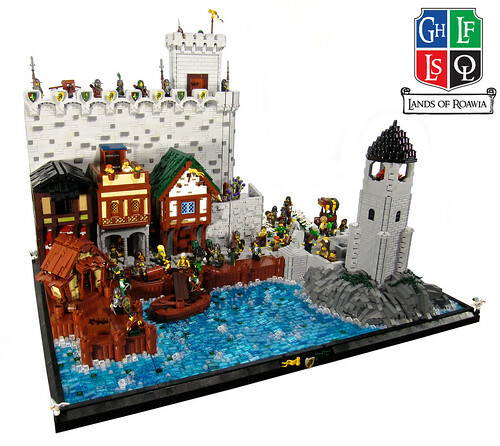 The presence of the Royal Castle of the High Lord, Lenfald’s High Courts, embassies, trade guilds, schools of higher learning, libraries and many large specialized markets all make for a vibrant and sprawling city. The major hub of southeastern Lenfald, Durrough protects the critical river which forms the southern border with Loreos, and features an outstanding harbor, extensive docks and shipbuilding facilities, wood mills, and a fishing industry rivaling any other in all of Roawia. Fishing fleets, warships and merchant ships create a flurry of activity every day in this thriving city. For over two hundred years the city has seen a dramatic population increase, as work is always been plentiful. Trade tariffs on the export of Lenfel wood have allowed taxes to be kept to a minimum for citizens. Associated with Durrough and the Aines River are the River Guardians, a series of old stone towers every two miles along the Aines, stretching from Durrough Harbor all the way to the city of Ferncroft. Its heraldry reflects both its industry and its fortune: two golden fish surrounding a golden 3-pointed star on a black field. Isil Oro is a major port city to the south of the Frost Peaks and is the largest port on the west coast of Lenfald. Legend states it is an old Elven city abandoned when the age of men began and that the name, which means Moon Rise in the old tongue, is derived from the crescent shape of the excellent natural harbour. With the discovery of the Great Western Isles, the city has found new significance and is currently a thriving gateway to New Lenfald, with new and exotic goods arriving every day. Ainesford, a major trading hub situated on the fork of the Aines and Marnie rivers and the border with Loreos. The main road south into Loreos passes through Ainesford and the city is also a major stop for riverine traffic passing between Durrough and Stonewald. As such the city is famous for its economic prosperity and flourishing markets. In times of peace, goods constantly flow up and down the river and across the border. The city is also known for its multicultural make up which is reflected in both its people and architecture. Read more about the city of Ainesford in the thread here. 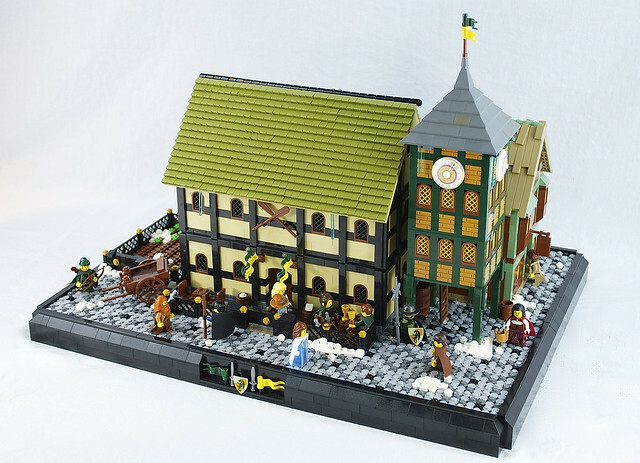 Elavia, Crakenhaven, Standfast, Nan Deorc, Dragonsmouth, Bladefall and Falkenborg are also important centers of Lenfald's economy. Perhaps you can create builds for these cities, making them your own? - Demonym: Lenfel (plural: Lenfels). 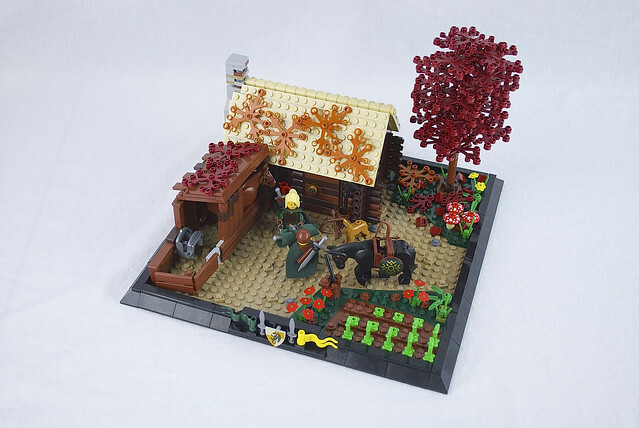 - Economy: Lumber, hunting, textiles, fishing, farming. 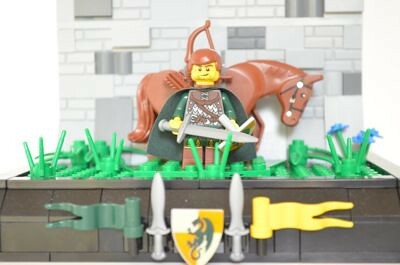 - Army: Archers of the best caliber, light cavalry, few heavy infantry. - Navy: Large warships and ocean-going merchant fleet. - Currency: A "wyvern" is equal to the daily wage of an average laborer; 10 wyverns make a drakken. 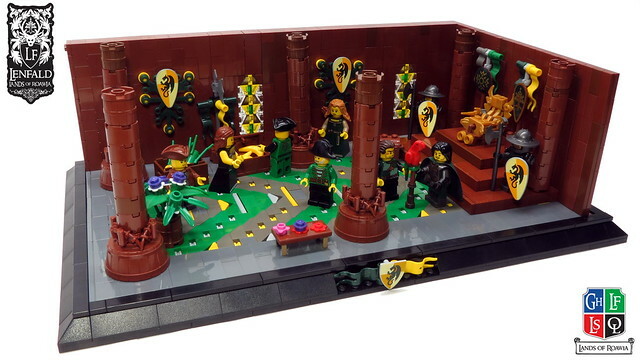 - LEGO sigils: Forestmen, Kingdoms Dragons, though anything with a green/yellow-ish theme will be allowed. With the rise in power of the blood knights of the Areani in Loreos, the leading noble houses of Lenfald became concerned enough about the danger they posed to Roawia that they formed a secret alliance — and the Order of the Shadows was born. 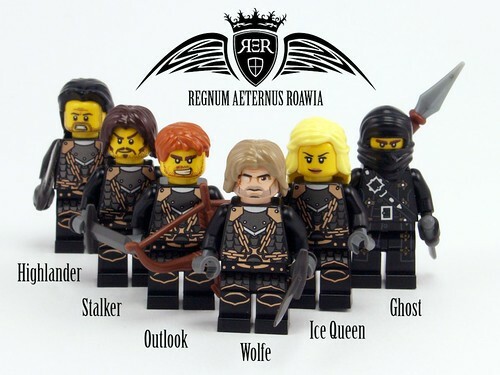 Unlike the Areani, they operate in secret for the good of Roawia as a whole. When the need arises, every house of the Order sends one warrior, usually the oldest son, to fight for the common cause. 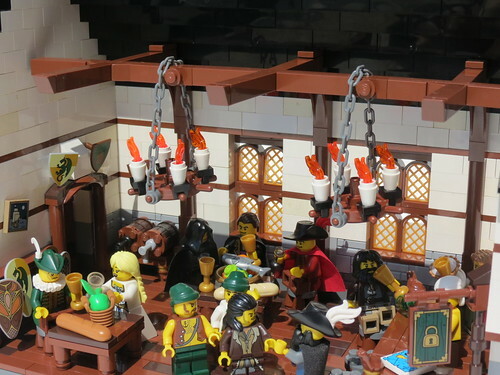 These dark fighters have generated a great deal of talk in the taverns and inns of Lenfald. While it is difficult to separate fact from legend, it has been reported by reliable sources that they are the group who avenged the murder of the King of Roawia by bringing Antonius Renard, councillor of Dalmunatha in Loreos — who rumors stated originally sanctioned the regicide — to justice. Should the need arise, they could strike again as the legend says, always for the good of Roawia. The Scout Snipers were formed just prior to the War or Roawian Succession in order to counter Loreesi aggression and provide current intelligence to Lenfald’s leadership. They serve as the "eyes, ears and sharp-shooting" for Lenfald, complimentary to rangers who often form the quick-strike fighting capability of Lenfald. The Snipers focus their training on stealthy reconnaissance and expert long-range shooting, rather than the holistic training of rangers (who add swordplay and tracking). Snipers therefore are best used in pairs to gather fast and reliable knowledge of enemy operations, and as a unit for firepower against enemy leadership, heavy cavalry and infantry, and counter-archer targeting. While the original company — now known as "Caelan's Snipers” — was first formed in southeastern Lenfald by Sir Caelan Munro, other Sniper units have formed in various parts of Lenfald to serve the vital role of rapid gathering of information, and, when necessary, “arrows on target”. The Order of Sidhelvellon stands for peace in times of trouble, and a friend in times of war. Formed during the Rebellion against Queen Galainir and led by Andar of Lenfald, the unit prides itself on standing for peace while never backing away from helping friends and allies. Responsible for defeating the Queen’s evil troops and pushing them from the high mountains of Airgid Coronaigh, the Sidhelvellon rangers maintain the peace in northwestern Lenfald with a just hand. 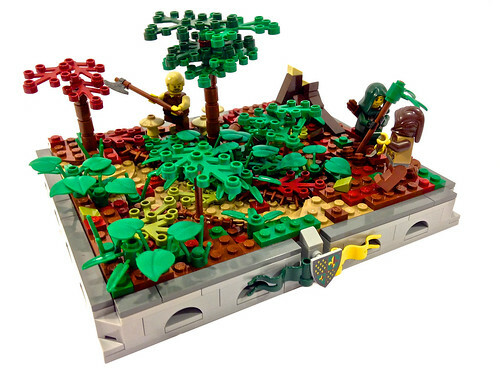 The Jungle Scouts are an elite group of rangers chosen and trained to operate in the unknown wilderness of New Lenfald. Recruited from the best of Lenfald's hunters, Rangers, and Scout Snipers, they are chosen based on their ability to adapt to new environments, and to endure travel, hardship, and the tropical climate.Their mission is to explore the forbidding interior of New Lenfald, to investigate new resources and dangers to colonists, to study the bizarre new flora and fauna, and to map major geographical features and navigable waterways. Armed to the teeth, and experts at navigation, mapping, tracking, survival, hunting, or scientific research, these intrepid men appear to be ready for anything the jungle can throw at them. Formed some time before Lenfald's successful bid for independence, The Lenfald Marine Corps is the premier amphibious fighting force of the Nation of Lenfald. It's members are comprised of the very best soldiers from all others branches of the Lenfald military, and are considered the pinnacle of military skill. Highly trained, highly capable, and tightly knit, the Lenfald Marines are renowned for their prowess in combat, tracking, scouting, and even healing. 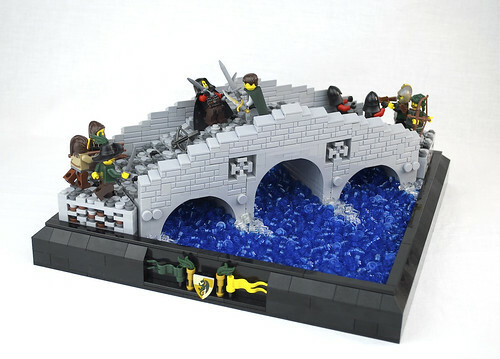 Their motto, First In, Last Out, Always Vigilant, perfectly reflects the ideals and methodology of this spectacular fighting force, unlike any other in all of Roawia. 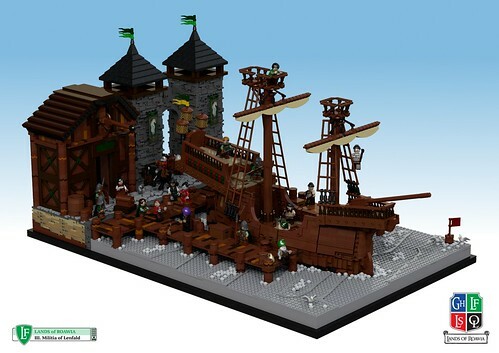 Primarily stationed on the ships of the Lenfald fleet, the detachments can number from as few as eight, commanded by a captain, on the smallest brigs and Xebecs, to upwards of fifty on the largest galley and galleons, commanded by a lieutenant colonel. Marines from the first ships to the Great Western Isles were some of the first people to set foot on these new islands, blazing the trails and taming the wild new land for the colonists that followed soon after. The Lenfald Marine Corps is headquartered in Stonewald, though battalions are stationed in many other prominent cites in Lenfald. This elegant arch serves as a reminder to all Lenfels to stay vigilant. Funded by Lord Mitah Val Karem, it stands on the main road leading from Ainesford to Stonewald, now renamed “Victory Road”. 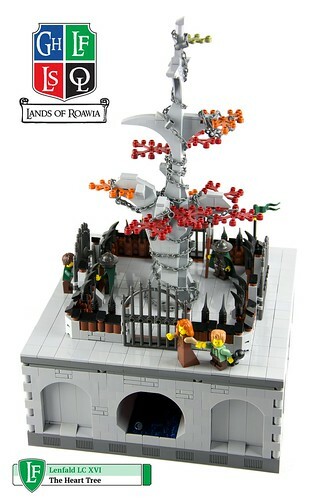 It was built immediately after the War of Roawian Succession; the last soldiers of the retreating Loreesi army had just marched by when the foundations for the monument were laid out in their very footsteps. It is still looked upon with pride by most Lenfels, even as relations with Loreos are currently on the mend. Lenfel heroes are honored, even the ones whose names are not known. At various locations in Lenfald, monuments to the fallen help locals and travelers remember that a price was paid for every inch of the glorious ground they walk on. “Lindworms, you say? Bah, they don’t exist!” …Or do they? Turns out, they like chicken. …And yet he may not exist at all, for the formidable Black Knight always disappears at the end of each story, never to be heard from again until needed during times of peril. Yet history has a different take, for Lenfald actually lost the Battle of Ainesford in a total rout. So what is the truth behind this lore? We may never know…. Unfortunately as of 19 November 2016 Lenfald is currently closed to new members. 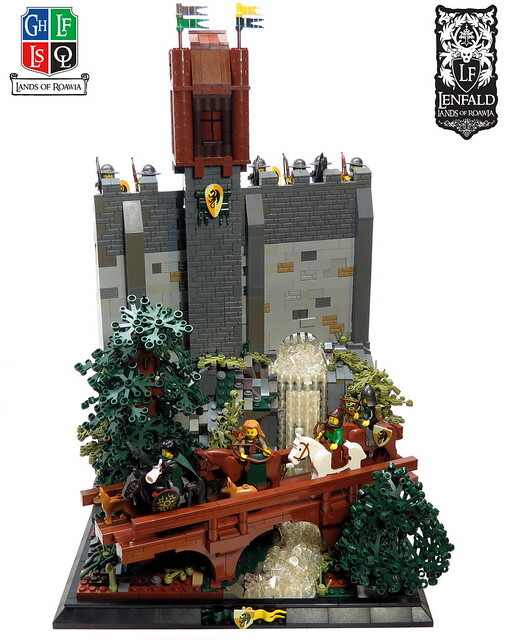 Great Warlord of Lenfald — Any Lenfel who wins a total of 3 Global Challenge categories as a faction finalist is granted this permanent title for their signature block. 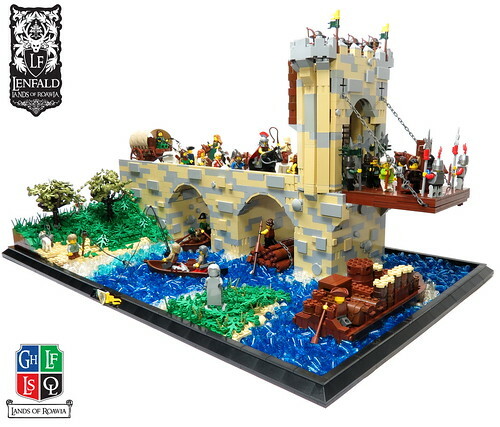 Warlord of Lenfald — Any Lenfel who wins a total of 2 Global Challenge categories as a faction finalist is granted this permanent title for their signature block. Champion of Lenfald — Any Lenfel who is a faction finalist for a Global Challenge is granted this permanent title for their signature block. Updated 2 Nov 16. Members are considered active if they have logged on in the last 6 months (1 May 16). Members in green have submitted builds since 1 May are are considered active 'builders'. Inactive members are archived in the tread linked below and are welcome back anytime with no penalty. Simply let us know you are active again or even better submit a build!!! Results of inter-faction competitions, generally held once per month except during the Global Challenges between the factions. 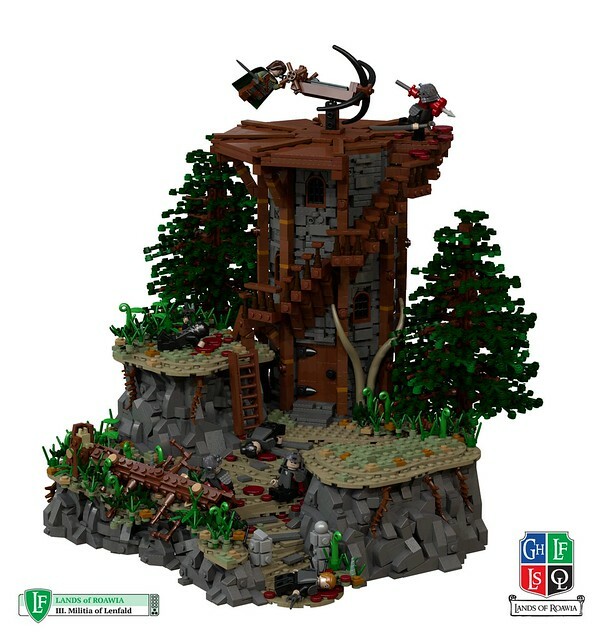 LC 1 - Fortify the Forest - Albatross_Viking's Watchtower. LC 4 - Lenfald Tax winner - Friskywhisker's Pay Up! CURRENT FACTION STANDING: Lenfald is the top scoring faction. 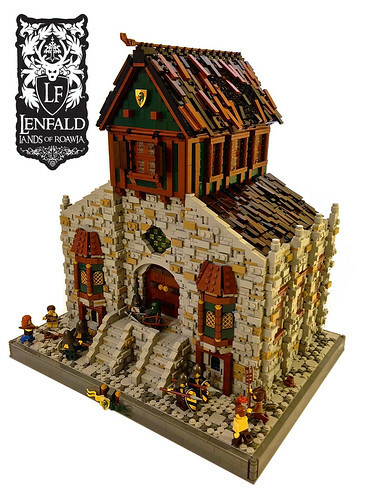 For the full history of Lenfald, with pictures of LEGO builds illustrating the events, see the History of Lenfald post here in the Private Lenfald Thread. Only Lenfald members will be able to read this post, however. A brief history of the Province, with an emphasis on how it has shaped current events in Roawia. 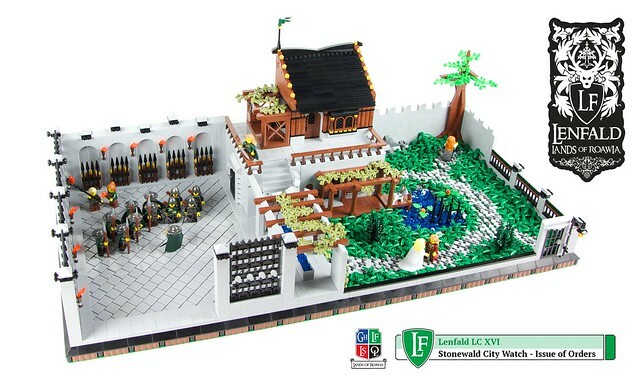 During a time of civil unrest throughout the kingdom of Roawia, war and strife broke out between Lenfald and Loreos. Fortunately Godfrey Ariand Wenseclaus II was elected to be Lenfald’s High Lord of Lenfald at this time. As his first major decision, High Lord Wenseclaus II arranged a peace treaty with Loreos with the help of Mark of Falworth, First Minister of the Prince of Loreos. After an honorable, though short, reign as the High Lord of Lenfald, Wenseclaus II died of old age. Immediately following the High Lord’s death, Stephan of Stonewald, Senior Adviser to the late High Lord, made a power grab for the throne of Lenfald. 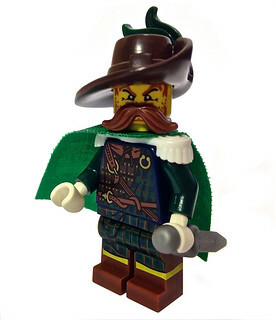 By employing Garheim and Loreesi mercenaries, as well as accepting the help of rogue Lenfels, Stephan created an army and sought to declare himself the new High Lord of Lenfald. Stephan’s actions forced the Great Council of Lenfald to action, and they marshalled forces to oppose Stephan’s rebellion. Many great warriors of Lenfald arose in order to break the rebellion, it was the forces of Lord Mitah val Karem who dealt the crushing blow to Stephan and his army at the ruins of the city of Elavia. Stephan himself was slain on the battlefield and the civil war within Lenfald ended shortly thereafter. 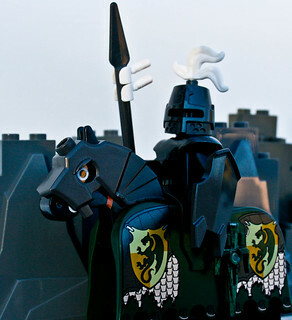 With the rebellion defeated, the council of Lenfald elected a new High Lord, a knight by the name of Sir Tripp. 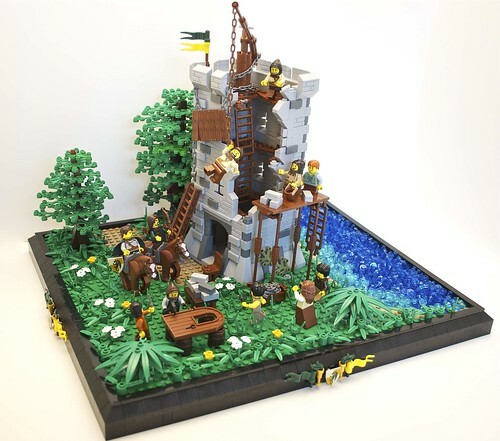 Though he was of low noble lineage, Sir Tripp used what wealth he had acquired to erect many monuments and shrines dedicated to the heroes of the most recent civil war. In doing so, he won the hearts of the people of Lenfald, and was named the new High Lord of Lenfald, and given the nobler name of Triphian. Shortly after Triphian’s election, the King of Roawia declared that the Magic Isles, which contained all manner of sorcery, evil, and magic, should be purged of the Outlaws which ruled there. The three provinces of Roawia responded by recruiting and sending their armies to rout the outlaws on the island. The assault was initially successful however the Outlaws managed to organize and began to resist the advances. Lenfald’s role in the invasion was a success, though at great cost. Many champions of Lenfald arose to prominence during the conquest. Mitah Val Karem continued his impressive service, and Lokiten of Myrikhim Fief and Sir Caelan Munro of Durrough rose in fame at this time. Regrettably, the forces from Loroes did not fare as well as the Lenfel or Garhim armies. When the three leaders of the provinces met for a council of war, there was a tragic falling out between Prince Jarius of Loreos and High Lord Triphian. Jarius sought to blame his own army’s losses on Triphian, claiming that they had not received enough support. Triphian was angered by this and the two leaders nearly came to blows, but a timely interruption by Jarl Eindrik, of Garheim, prevented bloodshed. The division amongst the leadership doomed the invasion. 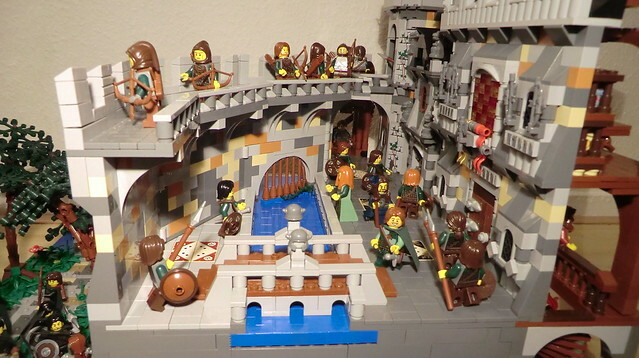 The purge of the Magic Isle failed, and the remaining armies of each province returned to their own countries to mend their wounds and nurse their grudges. Amid this situation, there was much suspicion on all sides. After the failed purge of the Magic Isle, a new threat to the peace of the kingdom arose. In the middle of the night, Areani forces (a fabled group of Loreesi assassins whose abilities in combat and stealth are seemingly unmatched, and whose loyalties and agenda are unknown) quietly slipped into the King’s Castle and murdered the king. With the throne of Roawia empty, all three provinces began to make preparations for a seemingly inevitable war. Lenfald accused Loreos of having been responsible for the murder of the king (which seemed probable, given the suspicious ties of Prince Jarius with the Areani), and Loreos was just as quick to point fingers back at Lenfald. To this day, the true motivation behind the murder of the king is a mystery. Shortly after the death of the king, Prince Jarius of Loreos produced a young boy named Chartres, and claimed that he was the heir of the long dead Godfrey Wenseclaus the II. Jarius claimed that Chartres was the true High Lord of Lenfald by birthright, and that Triphian had locked him up in a small castle within Isil Oro so that he might take the position of High Lord instead. This accusation caused a shock throughout Roawia, and was met with great hostility and scepticism from many Lenfels. No report had ever been made of the late High Lord Wenseclaus II having a son, and furthermore, this boy Chartres was far too young to be considered a legitimate heir of Godfrey Wenseclaus II. Despite this Jarius, continued to proclaim the rumour. He used Chartres’s existence as an excuse to launch an invasion against Lenfald under the guise of a mission to restore the “rightful ruler”. In doing so, Prince Jarius also broke the peace treaty which was signed between Loreos and Lenfald under the rule of Wenseclaus the Second. War ensued, and Lenfald allied itself with Garheim in order to beat back the Loreesi aggression. Many died in the terrible slaughter, but Lenfald held its ground, and the Loreesi forces could not prevail. Many great commanders of Lenfald displayed their valor and courage in beating back the tide of Loreos. 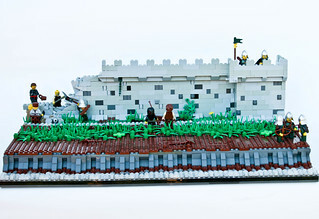 Notable heroes during the conflict were Caelan Munro, Paul von Brickenstein, Sir Haymar Glenn and Lord Mitah val Karem. Peace was reached when Mark of Falworth, one of greatest knights and commanders of Loreos, was captured. As he was of vital importance to Loreos, a peace deal was quickly brokered. The deal required a return to the status quo and that Chartres would be moved to the neutral land of Garheim. Thus, the war of Loreesi Aggression was ended in victory for the great province of Lenfald! Peace for Roawia however, was only being held together by a thread as there was still no king on the throne. Soon word began to spread of a woman named Galainir, a strong and benevolent leader amongst the people. Galainir hailed from the Magic Isle and her kindness and charitable efforts quickly won the hearts of a people. Furthermore, she claimed that she was a descendant of King Alphundus, who was the first king of Roawia. 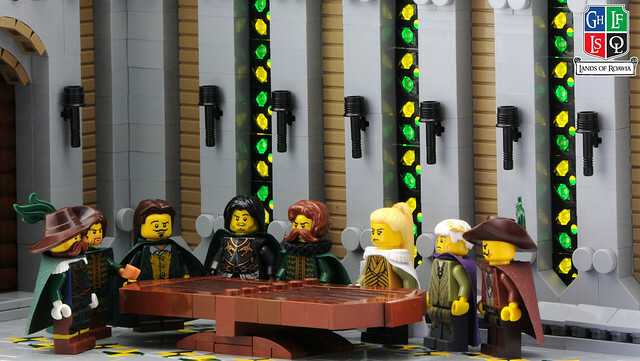 The three leaders of the provinces, though sceptical, begrudgingly agreed to meet with Galainir to determine her legitimacy to be considered for the throne of Roawia. 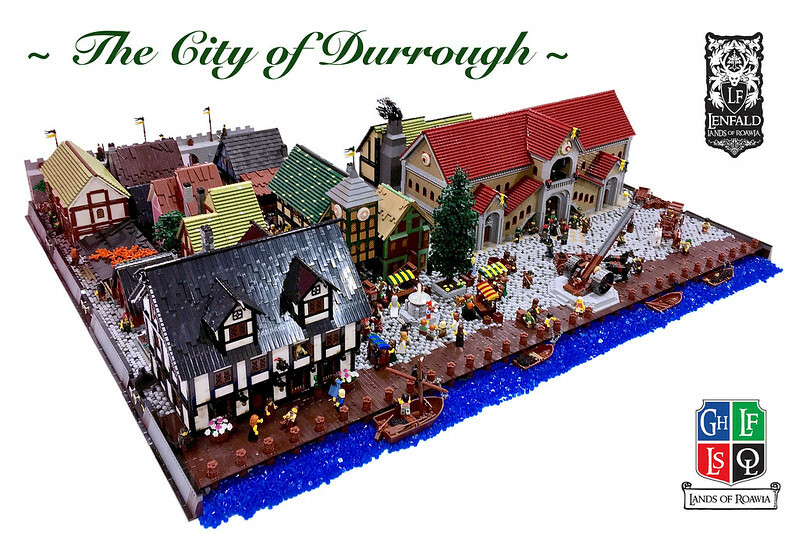 The meeting took place in the Lenfel port city of Durrough. 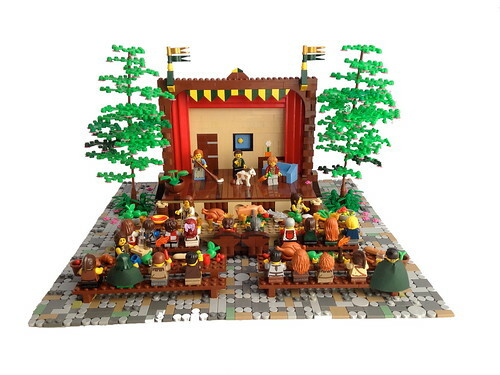 In spite of their initial scepticism, the three leaders were soon just as enchanted by Galainir as the rest of Roawia, and a coronation date was quickly set. Invitations were sent throughout the land for the coronation at the king’s castle, which was located on the Lion’s Head Island. 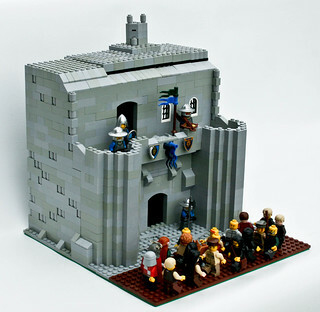 On the day of the coronation however, tragedy struck during the feast when a large contingent of outlaws swept through the island and invaded the King’s Castle itself. All the guards were slain, and Schmidtt, a knight of Lenfald, was also killed during the attack. It was at this moment that a terrible treachery was revealed. Galainir had taken advantage of the people’s plight, and used it to take over the entire land of Roawia. Now, with ultimate power resting within her hands, she revealed her true nature. The three leaders of Roawia were captured and imprisoned. Galainir also forced the leaders to sign a letter which forbade the provinces from any hostility towards the Dragon army of Queen Galainir which swiftly took over all of Roawia. A rescue was quickly arranged, and it was led by none other than now grown up Chartres. The rescue, though costly, was a success, and the leaders were liberated from their captivity. With the leaders now freed, there were revolts across all of Roawia. Loreos and Lenfald were swiftly reclaimed, and the Dragon army was completely driven from their borders. Garheim, however remained under control of the Queen. Maldrake the Silent, a terrible wizard, whom Galainir considered an ally, betrayed her by putting poison in her cup. 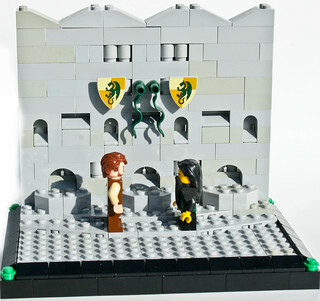 After doing so, he fled to a stronghold in the Magic Isles, where he sought to rule with the men still loyal to him. After the death of the Queen, much of the Dragon army was left in shambles, and the leaders of Roawia gathered together for one final strike against Maldrake to liberate Garheim and restore freedom once more. After much fighting, all of Maldrake’s forces were driven into his keep in the Magic Isles, where they sought to make one last stand. The ensuing battle was terrible beyond measure, and many lives were claimed that day. Although peace was made for a time, Roawia seemed destined for further conflict. 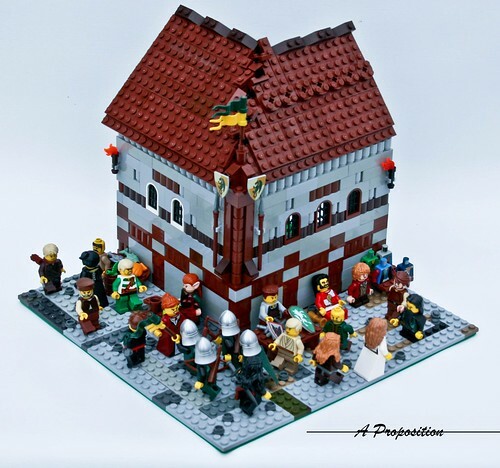 There was still no king to govern the land, and in spite of the protests from Triphian and Lenfald as a whole, Chartres was elected by Prince Jarius and Jharl Eindrik in secret. To make matters worse, “King” Chartres declared his intentions to marry princess Emmaline, the daughter of Queen Galainir, and requested the blessing of the leaders of the three provinces. Prince Jarius foolishly encouraged this, and the stoic Jarl condoned the prospect as well. Triphian was the only leader who seemed to remember recent history, and was adamant in his rejection of this proposal. But Chartres was headstrong, and could not be dissuaded by Triphian’s pleas for reason. Eventually, Triphian was forced to leave the negotiations and return to Lenfald. Triphian with accused of treason against the crown by Loreos, and Triphian called a Great Congress of Lenfald to determine Lenfald's future. Compliance - Maintaining the status quo, supporting Chartres as King of Roawia but expressing strong concern about his marriage to Emmaline. This was argued for by Lord Sorley Meyrick, Grand Duke of Ainesford. Seclusion - Refuse to accept Chartres and Emmaline as King and Queen, and peacefully seclude Lenfald from their rule. This was articulated by Grand Duke Cartney of Durrough. Sovereignty - Officially and permanently pull away from the rest of Roawia, and become the Nation of Lenfald. This was presented to the members by Field Marshall Albrecht von Falkenborg. Sir Triphian refused to take sides or even vote, remaining neutral throughout the process. After three days of debate, votes were cast. 78 out of 99 members of the Great Congress voted for Sovereignty. Lenfald was declared a Free Nation, independent and severed from all bonds to Roawia. This was a truly great and historic moment for Lenfald. Sir Triphian rose after the vote, addressing all at the congress. To everyone's shock, he resigned in glory, stating that it was best for the new Nation of Lenfald to be under new leadership. In doing so, he explained, his own leadership could not be used as an excuse by Loreos or King Chartres to invade Lenfald. He resumed his previous name of Sir Tripp, and retired to a life of quiet in his homeland of the Isil Oro Lake region. His noble sacrifice would prove wise, as neither Loreos nor Prince Chartres could work up the forces to invade, in part due to their lack of enthusiasm to defeat a popular new Lenfald leader elected in a landslide. The Great Congress then decided to reject entirely the idea of having a monarch over the people. 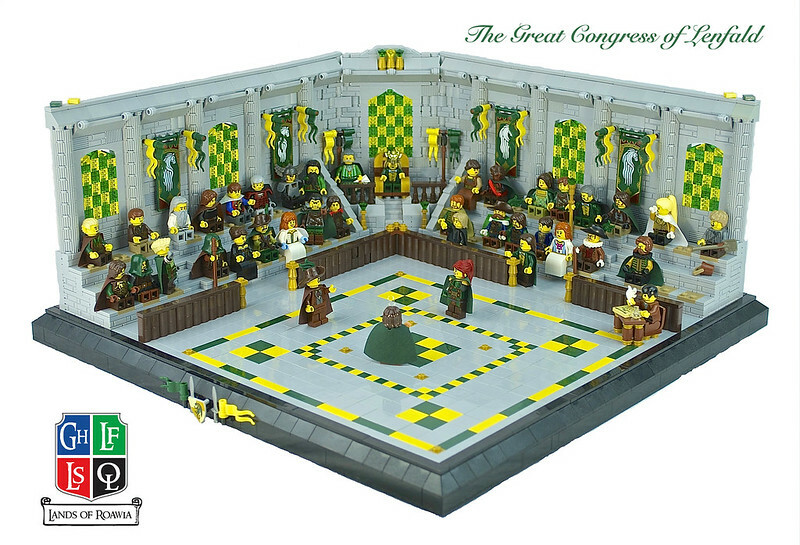 Instead, the tradition of electing a High Lord was continued, but now with a 5-year term limit. Field Marshall Albrecht von Falkenborg I was then elected by a wide margin to be successor to High Lord Triphian. Field Marshal Falkenborg had made his reputation by driving enemy forces out of Stonewald and Northern Lenfald, and his dynamic personality and boundless energy impressed so many that he was swept into office in a wave of patriotism. Abner of Darrenspur, a skilled and experienced ranger was given command of one of the Lenfald Navy's newest and most advanced ships, The Spirit of Lenfald. Sailing out of Isil Oro, his task was to clear the sea lanes of pirates who had recently been disrupting the maritime trade out of that port. During this mission, a storm blew The Spirit of Lenfald far out into the western sea. Be-calmed and completely lost, the ship eventually sighted land - land no Roawian had ever sighted before - off the edge of the map. Abner led a party of men ashore and named the land 'New Lenfald'. 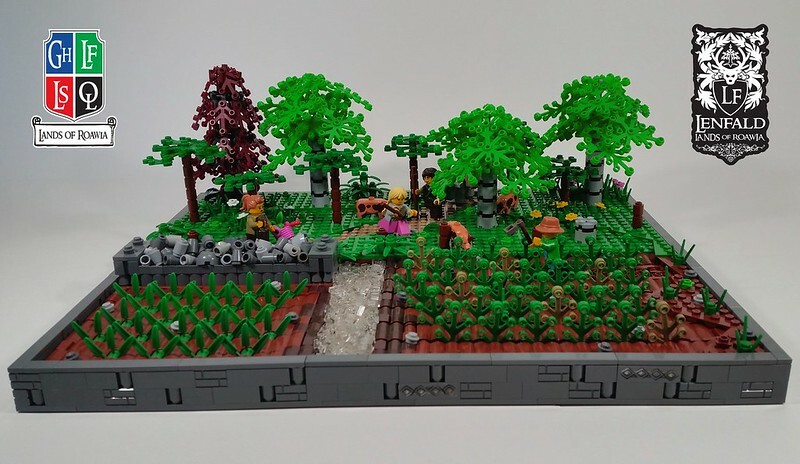 New Lenfald is filled with dense jungle and all kinds of exotic plant and animal life. Narrowly surviving an attack by a 'wingless dragon', Abner and his companions make it back to the ship, which has discovered the new land is actually a large island. Thanks to the skill of the Lenfel mariners, The Spirit of Lenfald makes it back to Isil Oro, where the leaders of Lenfald attempt to keep the news of their discovery a secret. Keeping any secret in a bustling port like Isil Oro proves impossible however, and before too long the news leaks to the leaders of the other factions. This prompts a race throughout Roawia, as all factions attempt to position themselves to exploit this new discovery. Luckily, the people of Lenfald come together, and through sheer determination and mass participation are able to successfully prepare their own expedition and sabotage their competitors. New Lenfald has become a reality. The efforts of the nation now focused on expanding the fledgling new colony. Adventurers, traders settlers and soldiers all flocked to the new world to carve a new life for themselves and to find riches. A colonial council was established and Duke Rolf Wynholm was appointed Governor of New Lenfald and Master of the Western Isles. He set his capital in the largest settlement which was becoming known as Port Emerald. He established governance from his elaborate manor. One of the first priorities for the council was to establish rough military fortifications to protect the new colonists from the harsh wildlife and the colony from the perceived threat from the other nations of Roawia. 2. 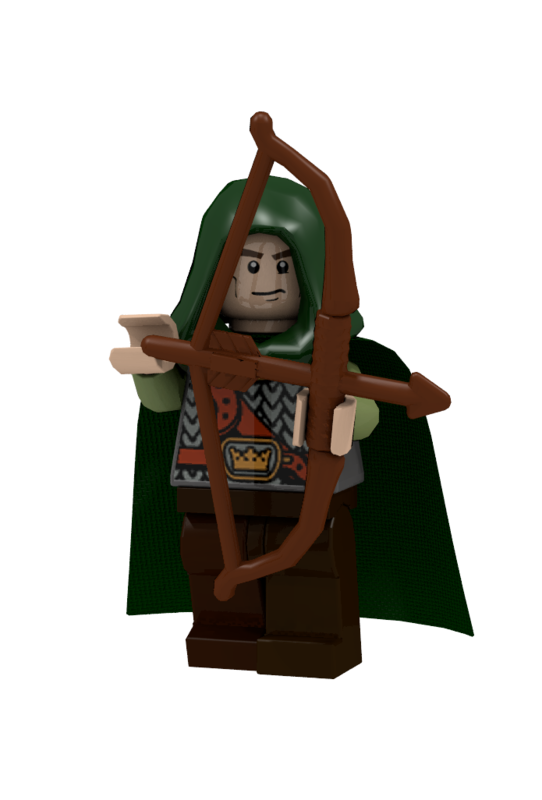 Decide on a character, build a minifig to match this person, and write a short backstory. This becomes your Character Introduction Challenge (CIC). 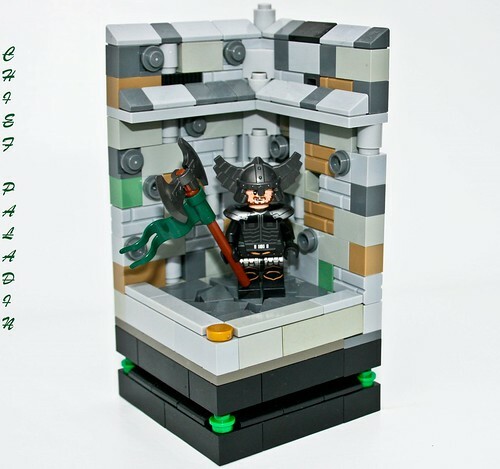 The background can be simple or a full build, it’s up to you. 3. You need good photos of your CIC and an image hosting service such as FLICKR, iPernity or MOCPages. Most members use the free FLICKR service. 4. Once you have photos and the URLs to them, post your CIC in both the LoR - Sign Up Thread and also the Lenfald Official Faction Thread to get your 5 points. 5. Either the Faction Overseer (FO) or Faction Liaison (FL) will send a Personal Message (PM) to you, or you can PM them for the faction password to get into the Lenfald Private Forum. This password is important for both voting and to read the Private Discussion thread which only Lenfels should be reading. The FO or FL will also add you to the Lenfald Members in the 5th Post. 6. 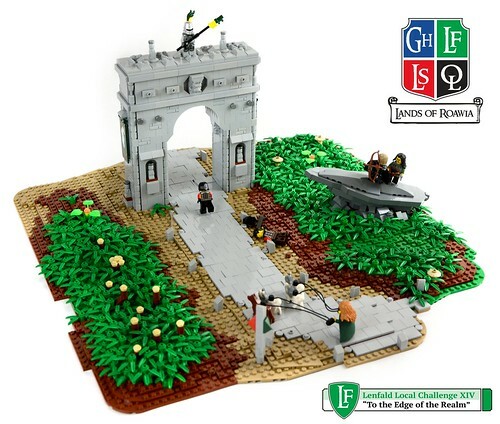 You can jump in immediately and participate in the current Local Challenge (LC), the Global Challenge (GC) if it’s running, a monthly build, and the Intro Challenge below. 7. PM the FO or FL if you have any questions. Introduction Challenge - The Industrious land of Lenfald! 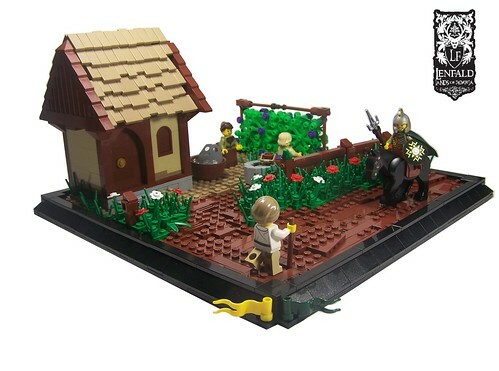 Build a small vignette or a MOC depicting the people of Lenfald (or your character) working in the great industries of Lenfald. These are Logging and Hunting. - Stay within the bounds of our faction for this one! For example: don't go whaling or mining ores, that's Garheim stuff! - Maximum size is 48x48. 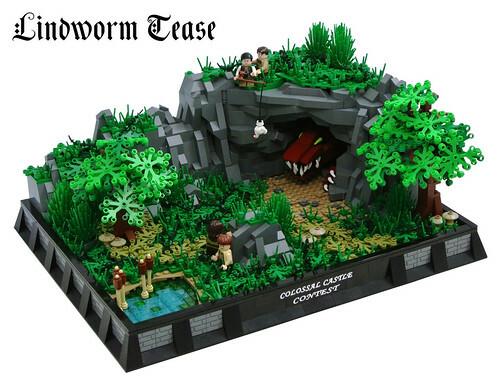 -To enter, post a thumbnail with a link to the main post in the Castle MOCs thread . - Farming is NOT allowed, as this is something that all factions would naturally do. - You obviously cannot enter more than once. Creating a second character and entering then is allowed, because the points would go to a separate character, not to a single person. - Your character will receive THREE points for participating in a local challenge. You don't have to win, submitting an entry is enough! - There is NO winner. This is an introduction challenge meant to get the creative juices flowing and get you guys into our faction. No deadline. Any member who has not yet participated can enter at anytime. First build on the new page! ...The enemy agent was quick, but Sithric was quicker, his arrow thumping into the agent's chest as he showed himself. 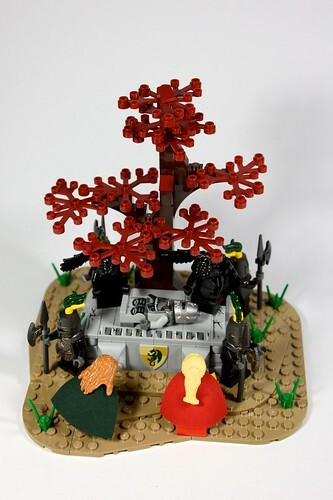 Immediately, the forest came alive with shadowy warriors, clad in black and steel. Sithric ran. The old watchtower loomed above him. Blinking sweat from his eyes, he sprinted past the entrance markers as the first agent reached him. He parried a lightning-fast dagger strike with his sword, his backswing opening the agent's throat. Warriors seemed to fade out of nothingness around him as he ran up the few steps to the door, his sword flicking left and right slicing arteries as he fled. The door was locked. Turning, a bare-headed warrior flew at him, dagger cutting wildly. Sithric barely had time to defend himself, knocking the dagger aside with a fierce strike whilst jabbing with his left. His opponent flinched as his nose was crushed, seconds before Sithric's longsword tore a hole through his midriff. He had hardly hit the ground before Sithric was bounding up a ladder to the tower's roof. Another agent, clad in dark fabric, leaped out of the trees ahead of him but quickly had his dagger reversed into his unprotected shoulder. Sithric took the steps two at a time, aware of a greater menace clawing at his heels. A rickety siege engine sat atop the tower, heavily rusted with age. A bolt sat in the groove, still primed. Its last owners must have left in a hurry. Sithric jumped with all his remaining might, reaching for the trigger. His armoured weight jarred the engine free of its stand, wrenching it round just as his pursuer reached the top of the steps. Sithric pulled the trigger. The engine's ancient arms released slackly, time having sapped much of their strength. But it was enough. The rusted, pock-marked bolt shot out, embedding itself in the unaware warrior in a shower of brain and blood, sending the body tumbling like a ragdoll. Sithric rolled onto the wooden boards, at the point of collapse. The warrior's sword lay in front of him, its tip caught in the engine's cables. The sun, which Sithric notice for the first time, shone enticingly from its intricate blade. The hilt was clad in supple leather, lovingly laced with silk thread. Sithric reached and took his prize. If I missed any really good builds or orders/armies which should have been featured here, please let me know! Also at some point we will have more Local Challenges to flesh out more cities, the natural wonders of Lenfald, lore, etc. Time to get cracking on that GC, Lenfels! GC Unrestricted and, Vignette are done! 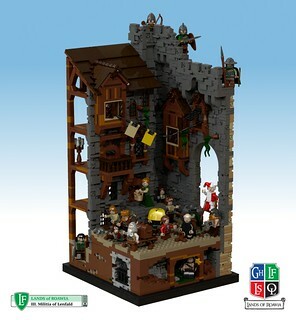 I will start on my restricted as soon as I take apart my other entry's and, sort the bricks. Come on Lenfald lets win this GC! We can do this! For great Lenfald!! New faction thread Looks great Caelan! Loving all the features. I feel like we have really fleshed Lenfald out as a land rich with history and, brimming with boisterous city's. Great job everyone! Alright guys if I can do it, I know you guys can! Now come on and, lets get those GC entry's rolling out! Here is me restricted entry guys! Woohoo! I hope you guys like it! My vignette should be coming soon! So keep a weather eye out for that. Keep building too guys lets get those GC entries done and, entered. Alright to avoid double posting I will just use the ever famous EDIT. 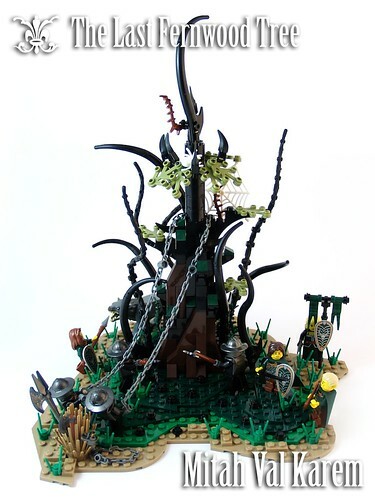 Just a small free build to advance Dante's story to the point where it needs to be for me to post me vignette entry. Here it is! 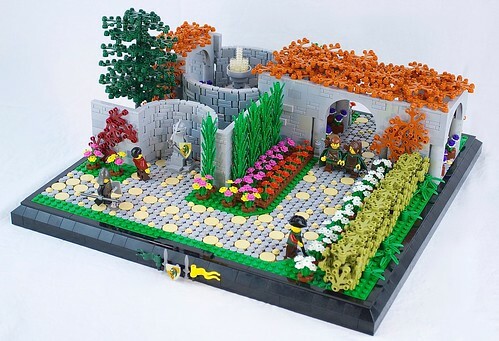 My vignette entry! Well that does it for me! I have entered all category's for this GC! I again would encourage everyone else to try their hardest to get there's in. I know thirteen days seems like a lot but, with Christmas coming up they are going to slip by faster than you think. Lets get it done! Here's my GC9 entries. I didn't have the time to do a Vignette. Unrestricted: The Crossed Oars Inn and Restaurant. Story can be read on Flickr. Well, a new year is almost upon us and we are running out of time to get any postings for GC9 done. Don't forget to post your entry in both this thread and the GC IX Recovery Thread so you get full credit. High Lord Triphian gives a victory speech to the people of Durrough, encouraging rebuilding and recovery. 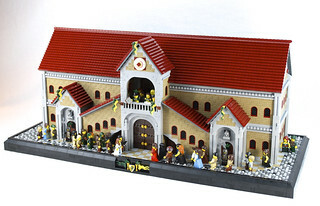 He is giving the speech from the City Hall, which was built before the War of Roawian Succession as a mixture of Lenfel and Loreesi architecture to be a symbol of the important trade Durrough had with Loreos. He chose this location in hope of rebuilding the alliance the two lands once had together. To see more pictures and read the entire story, click on the picture or the link here.